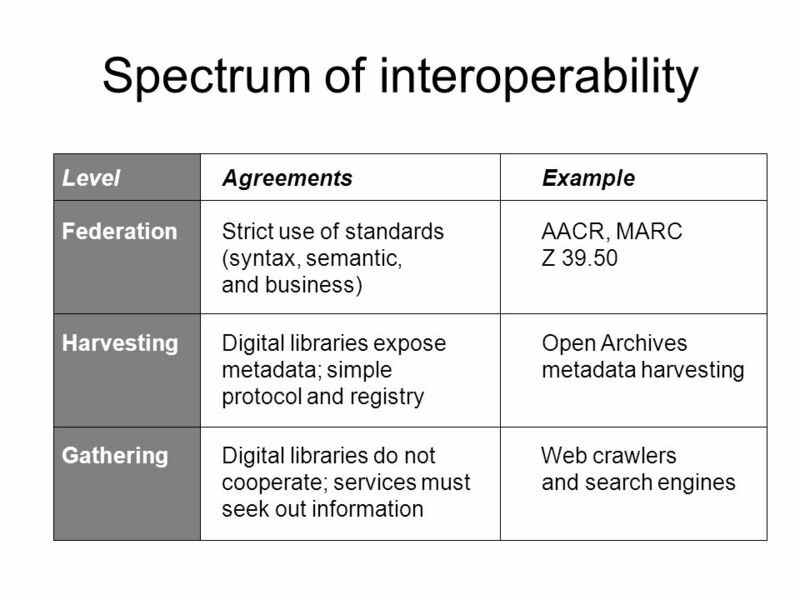 Open Archives Initiative Where we are, Where we are going Carl Lagoze 4 th OAF Workshop September, 2003. 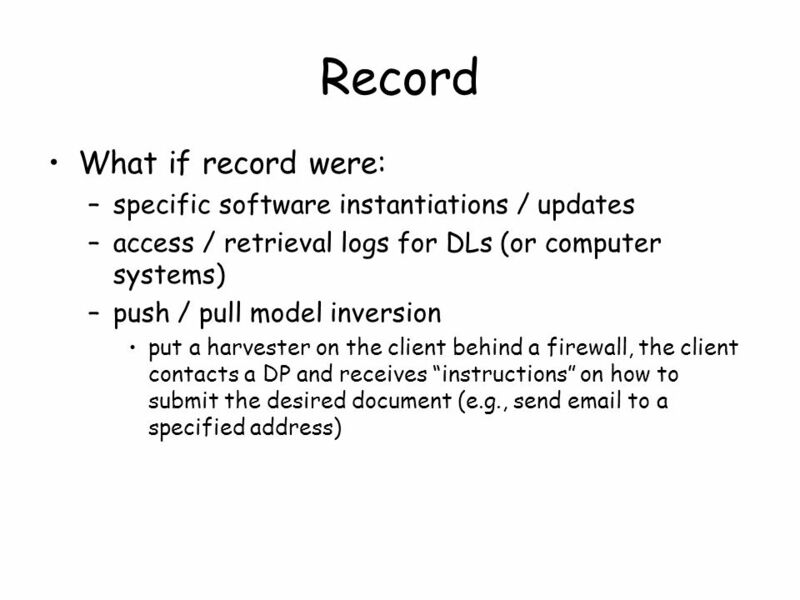 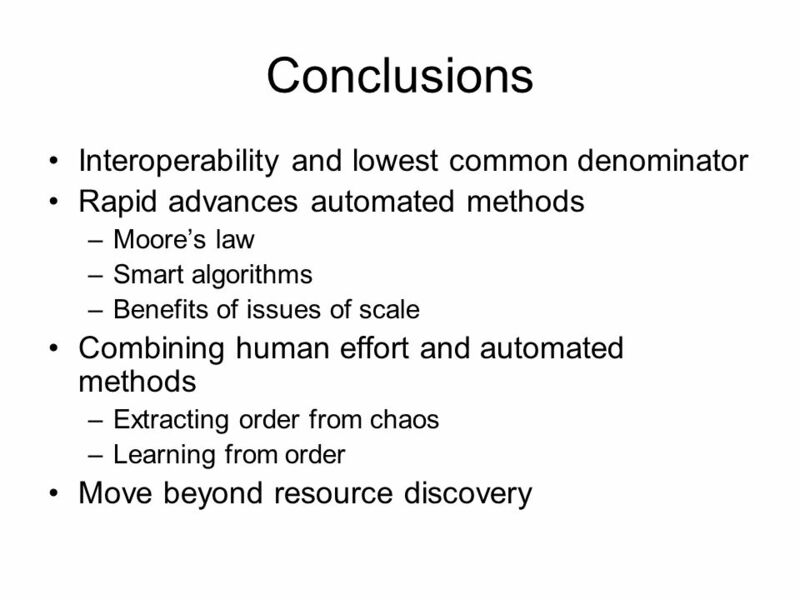 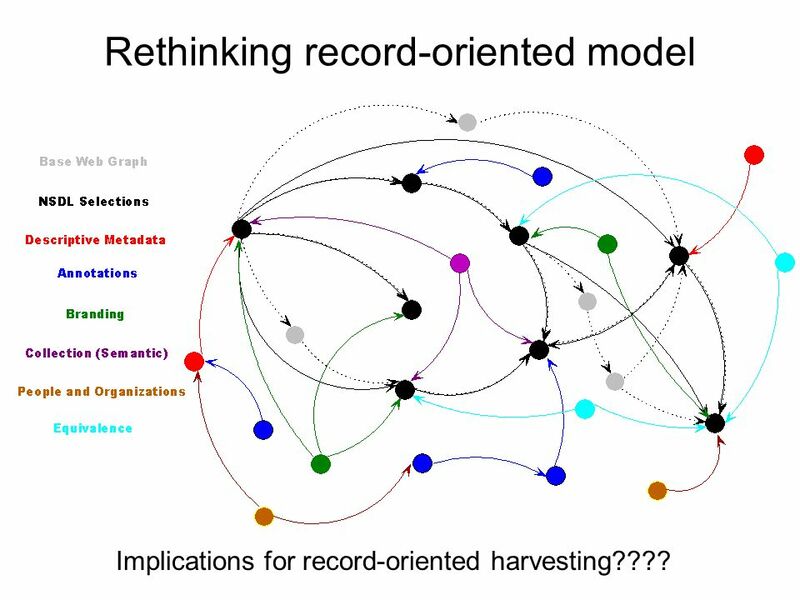 18 Rethinking record-oriented model Implications for record-oriented harvesting???? 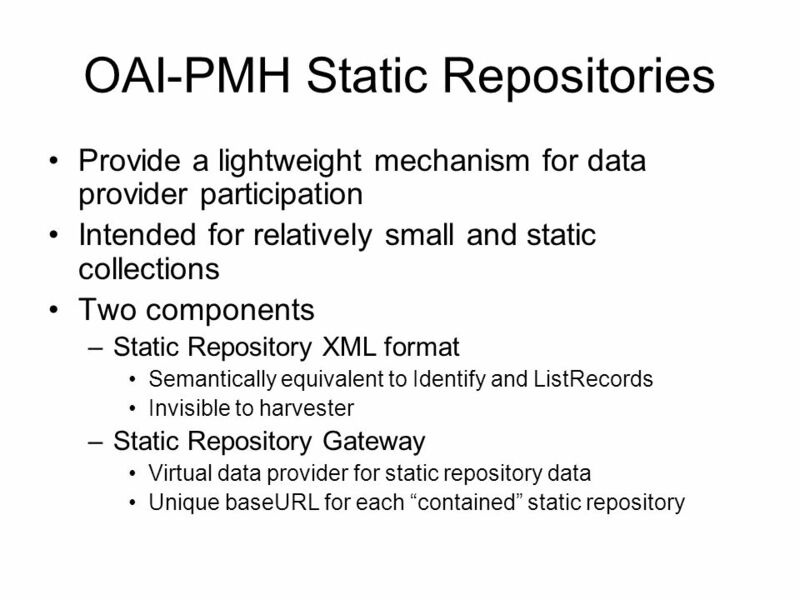 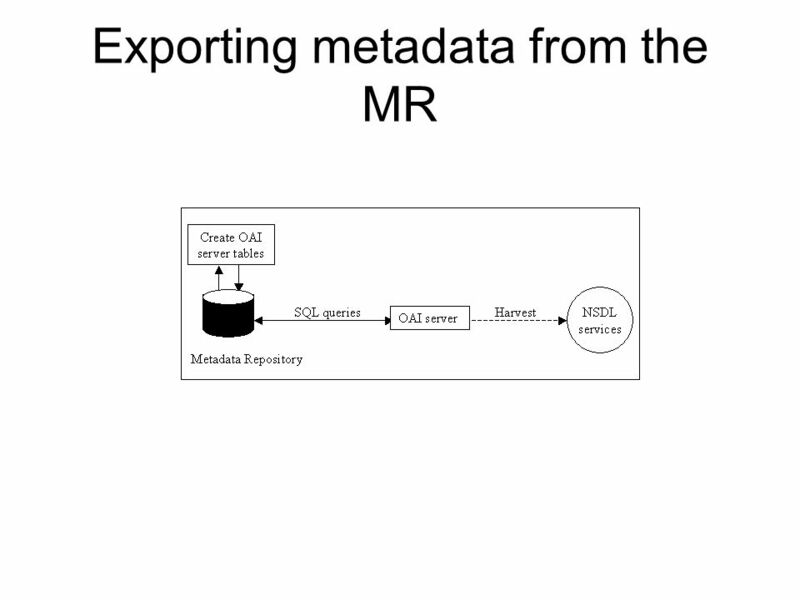 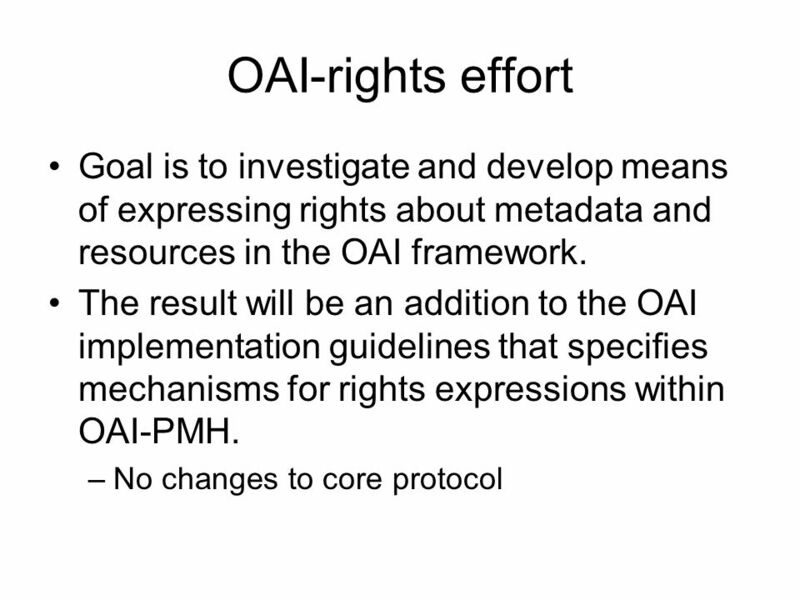 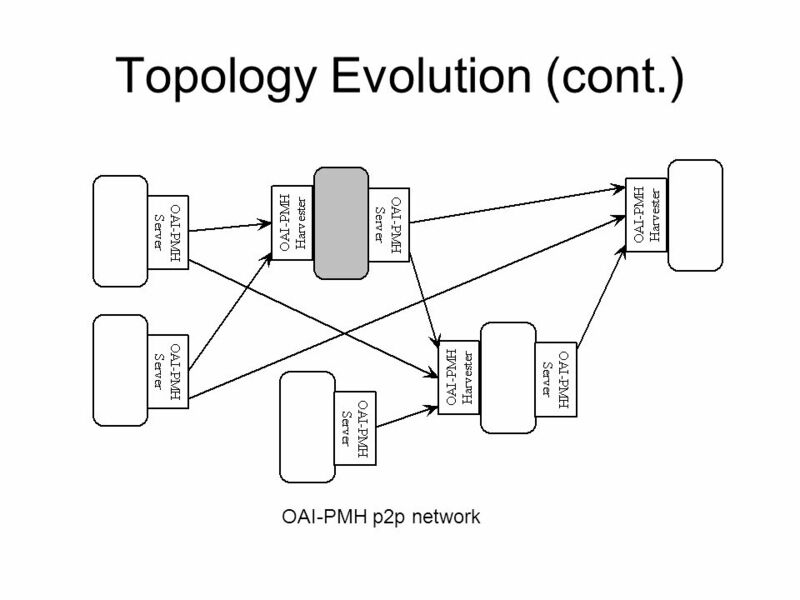 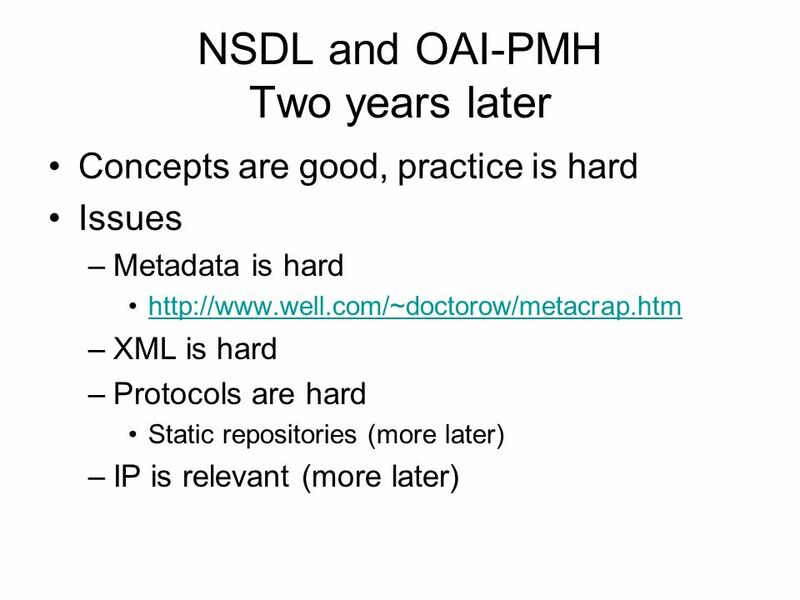 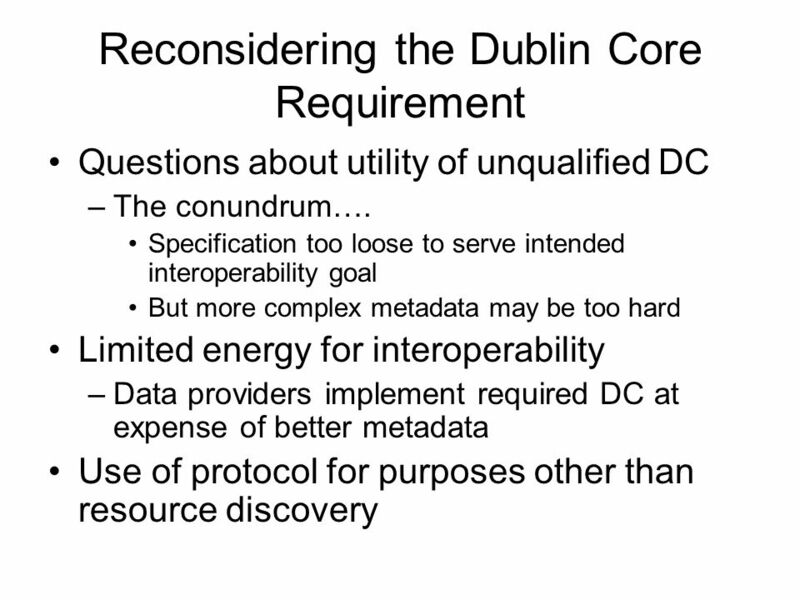 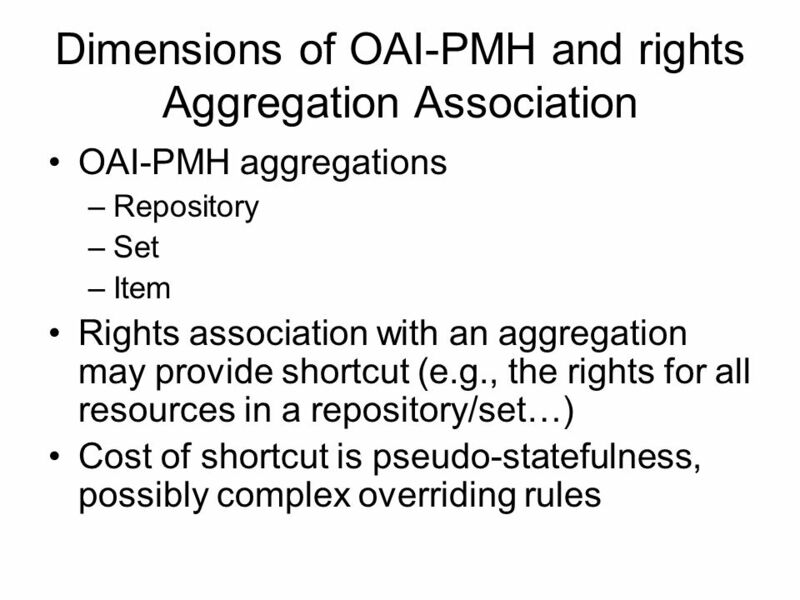 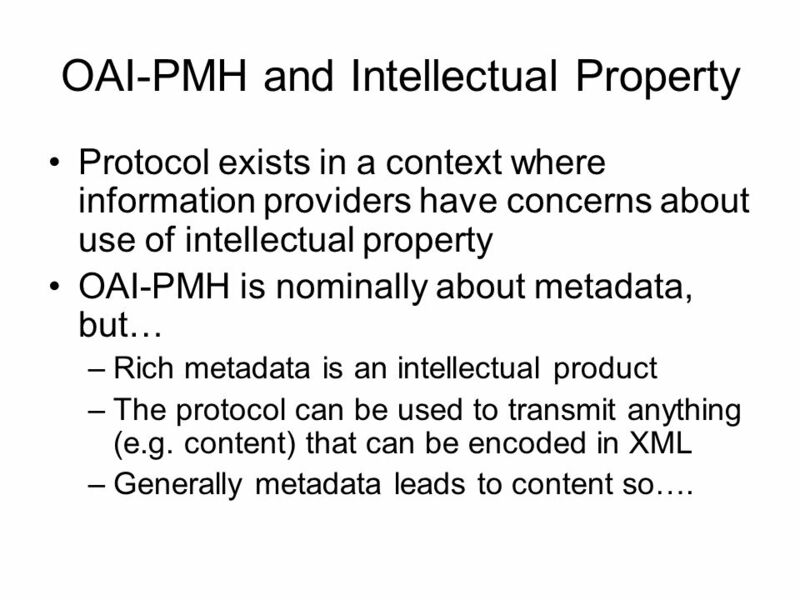 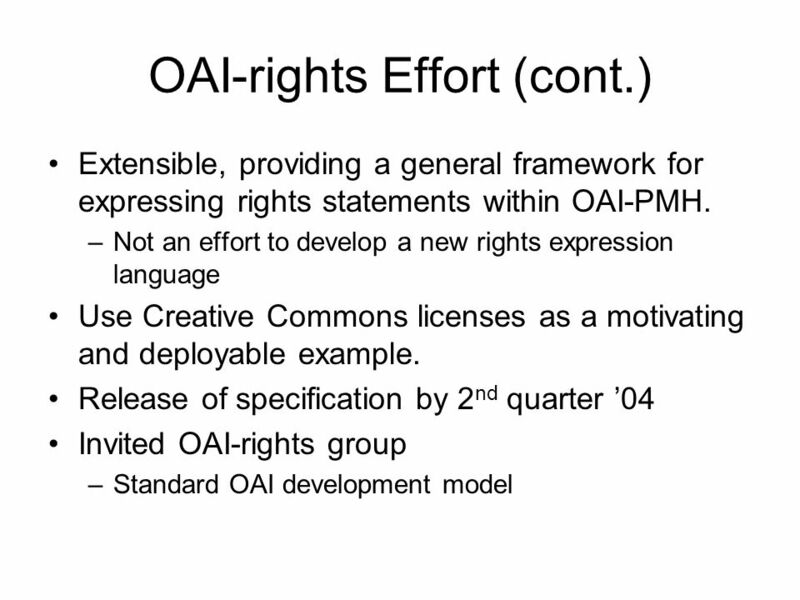 23 OAI-PMH and Intellectual Property Protocol exists in a context where information providers have concerns about use of intellectual property OAI-PMH is nominally about metadata, but… –Rich metadata is an intellectual product –The protocol can be used to transmit anything (e.g. 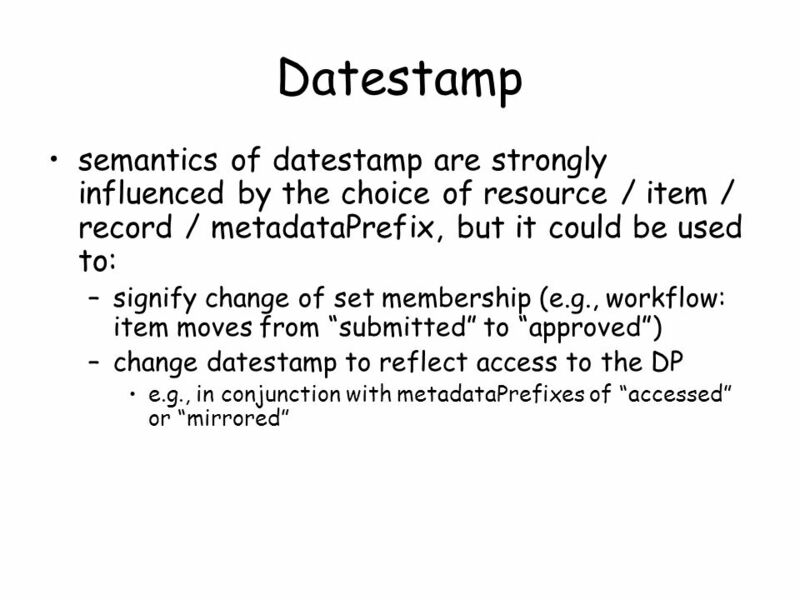 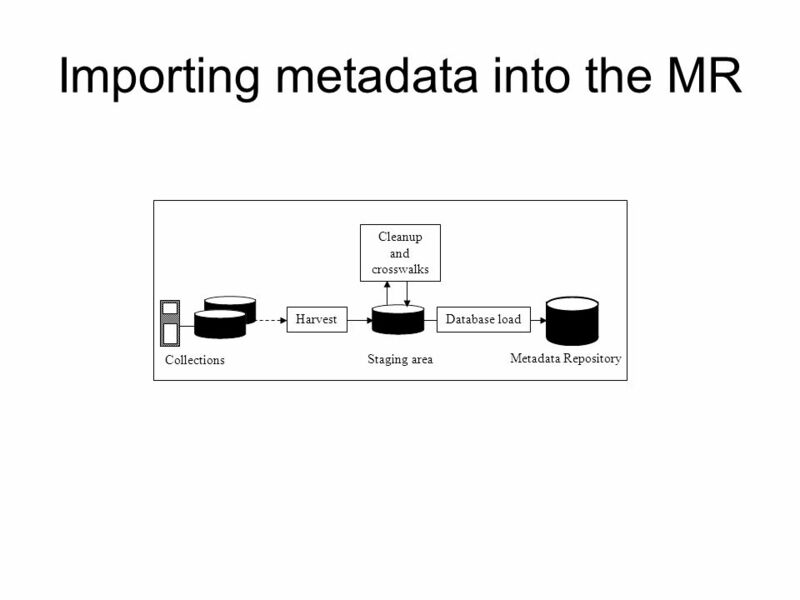 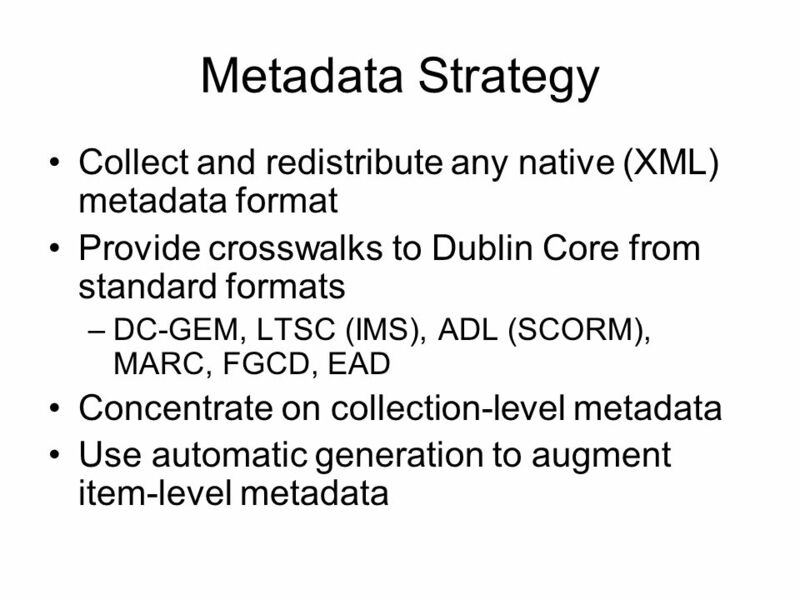 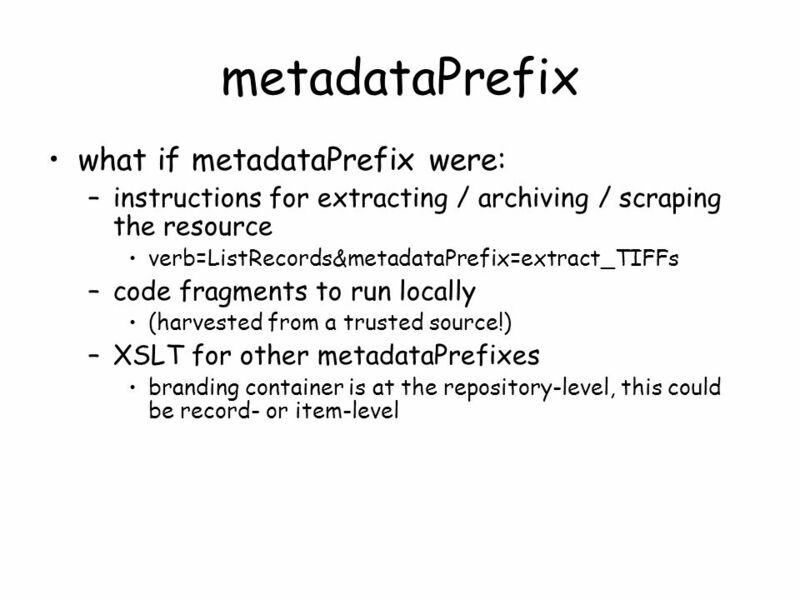 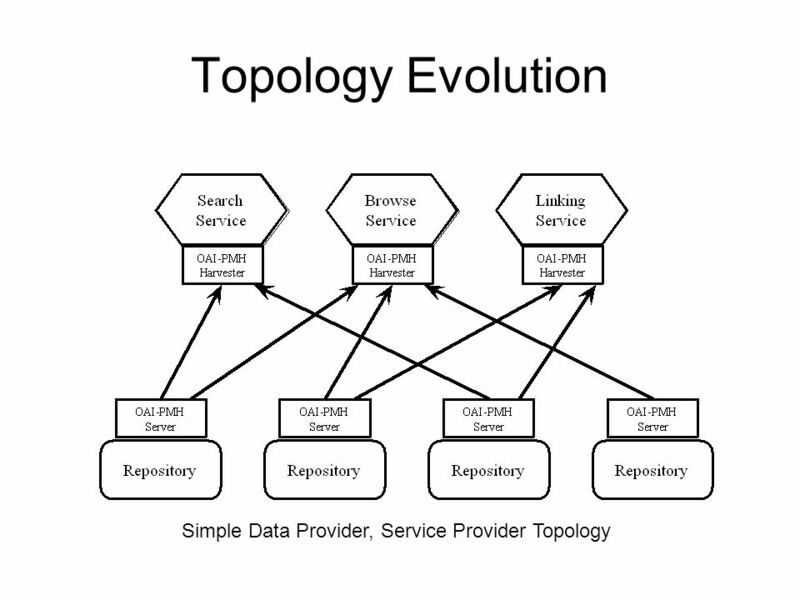 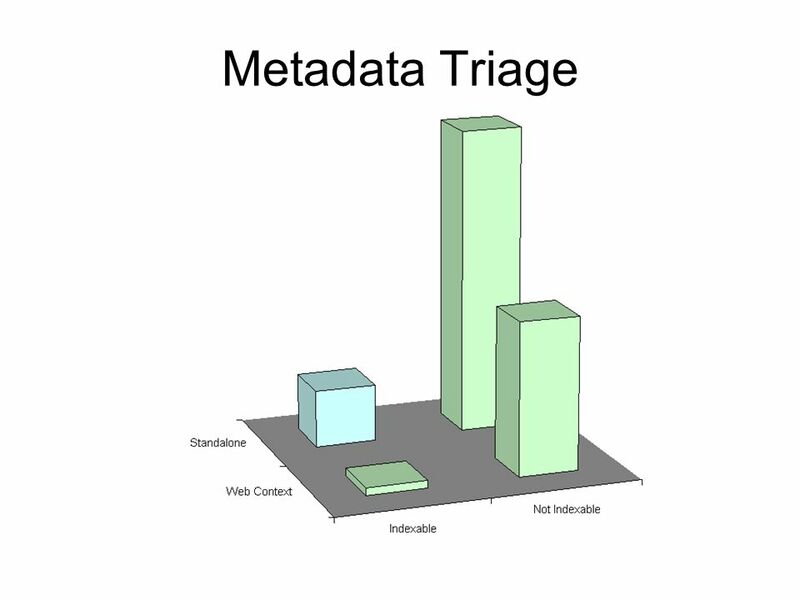 content) that can be encoded in XML –Generally metadata leads to content so…. 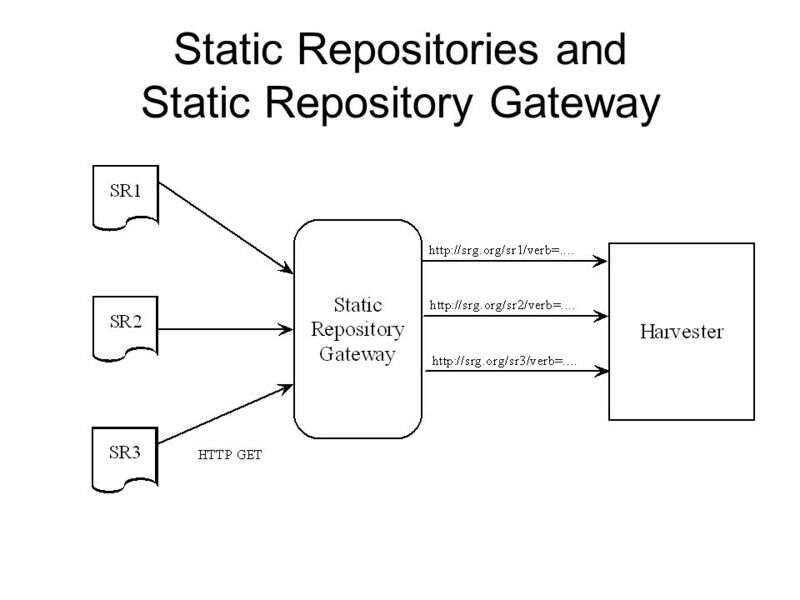 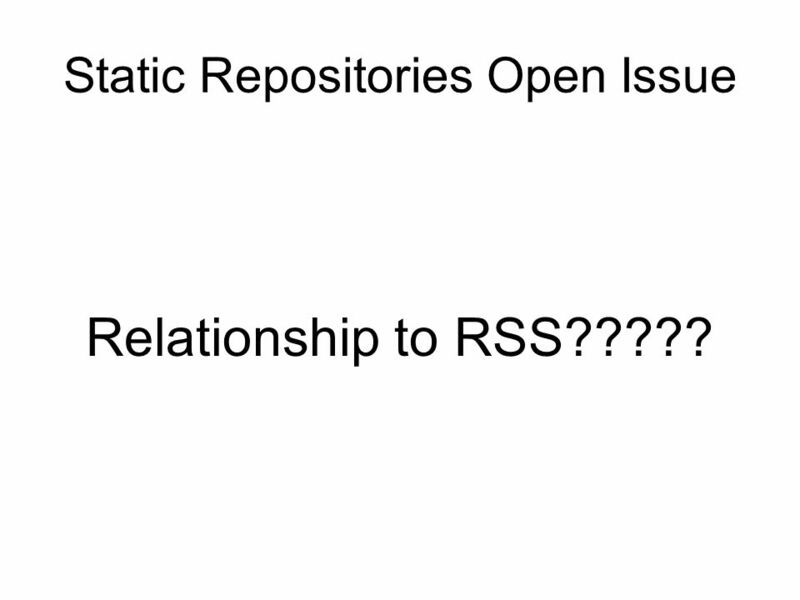 31 Static Repositories Open Issue Relationship to RSS????? 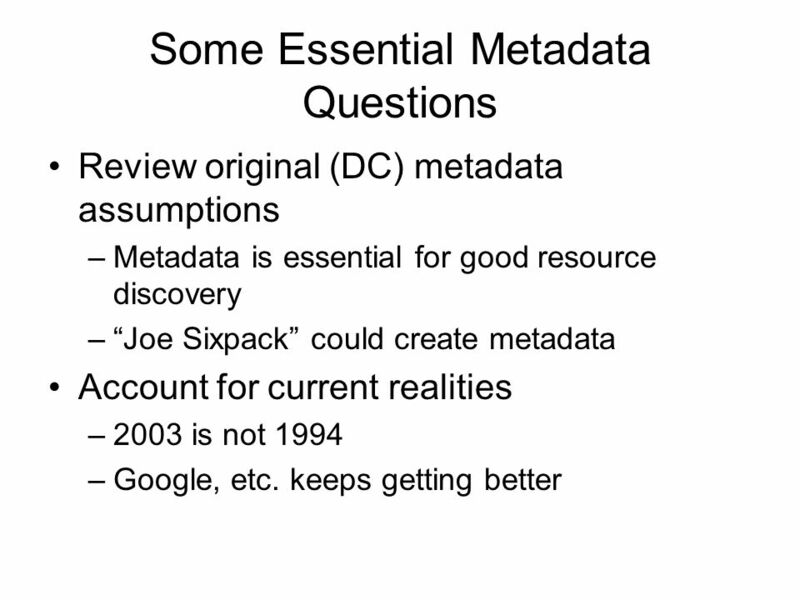 Download ppt "Open Archives Initiative Where we are, Where we are going Carl Lagoze 4 th OAF Workshop September, 2003." 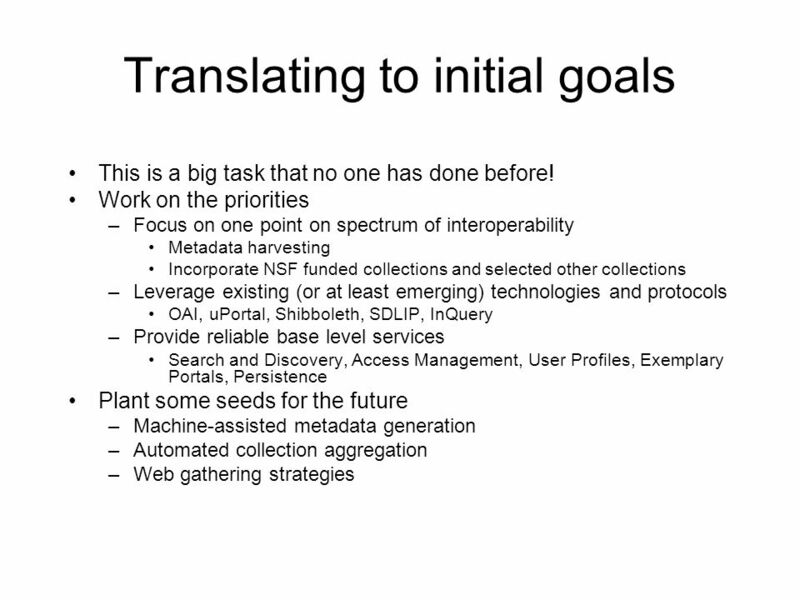 OAForum – September 2003 Muriel Foulonneau Open Archives Initiatives Protocol for Metadata Harvesting Practices for the cultural heritage sector Muriel. 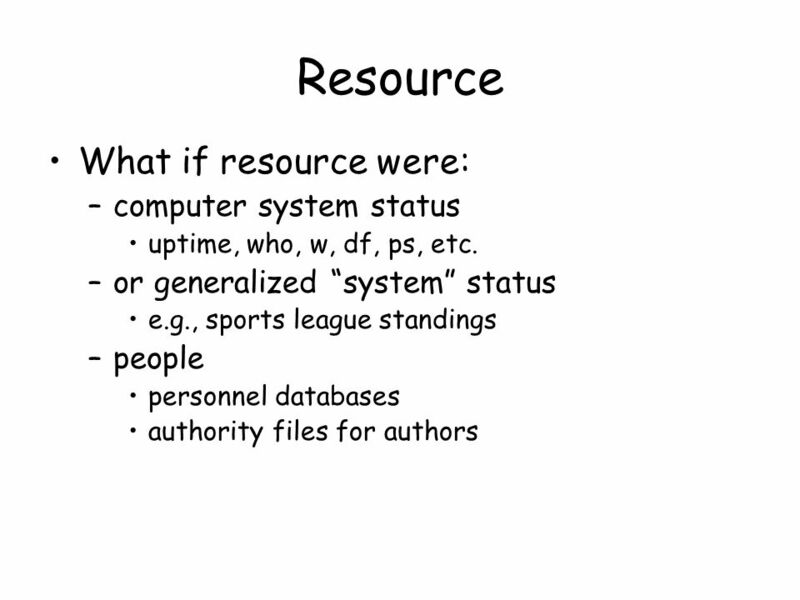 Andy Powell, Eduserv Foundation July 2006 Repository Roadmap – technical issues. 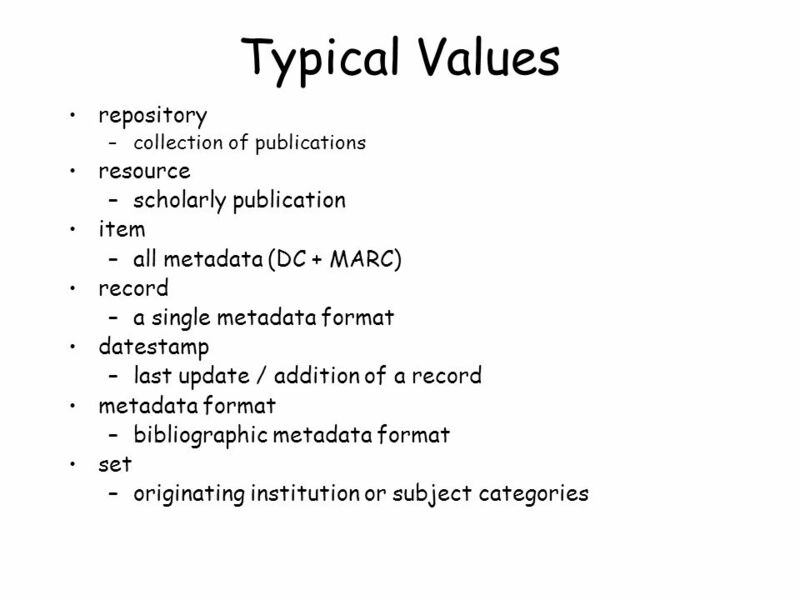 Collections and services in the information environment JISC Collection/Service Description Workshop, London, 11 July 2002 Pete Johnston UKOLN, University. 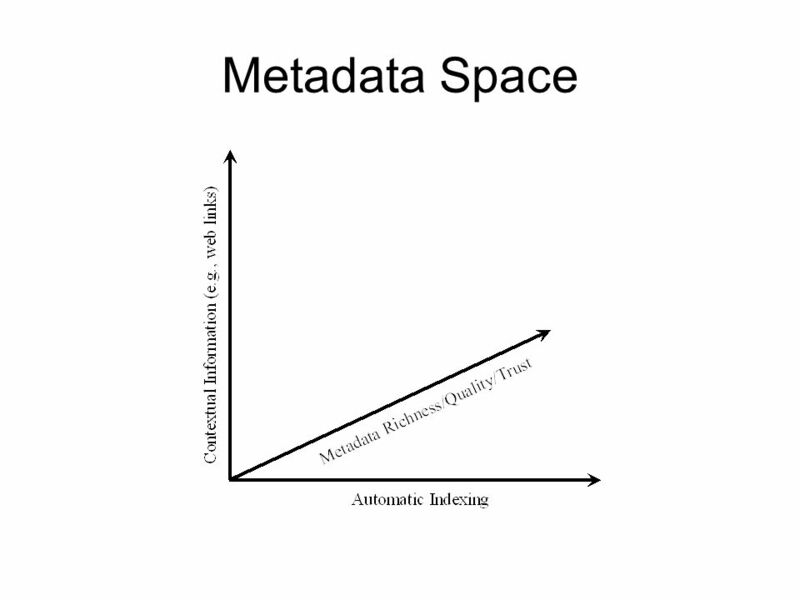 DuraSpace: Digital Information All Ways, Always Pretoria, South Africa May 14 th, 2009. 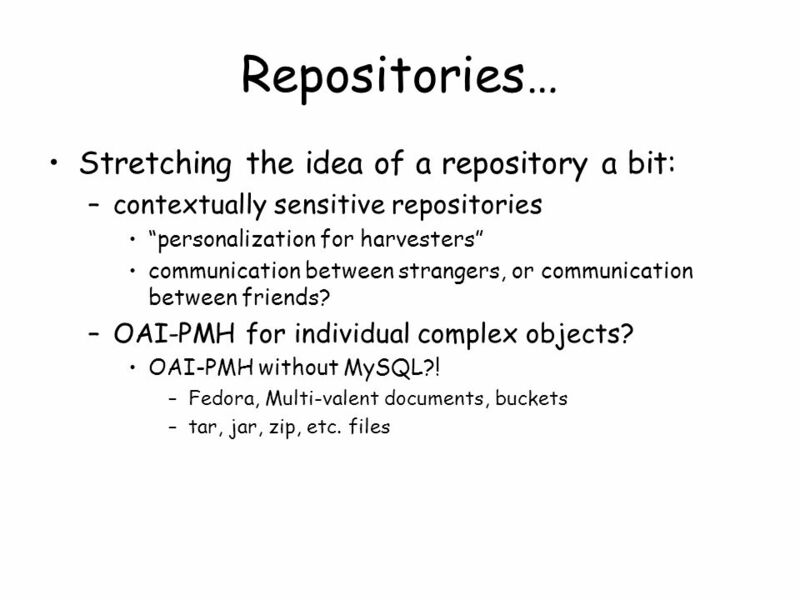 An Introduction to Repositories Thornton Staples Director of Community Strategy and Alliances Director of the Fedora Project. 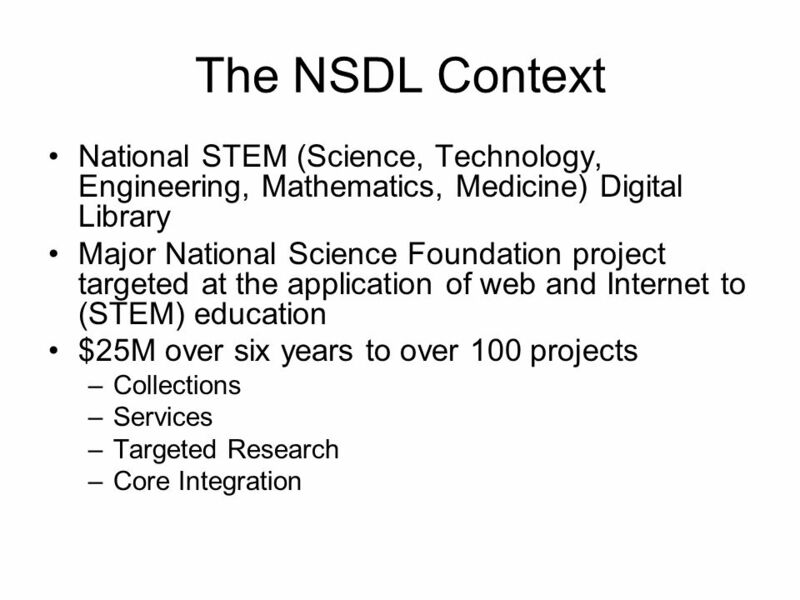 1 Building the NSDL William Y. 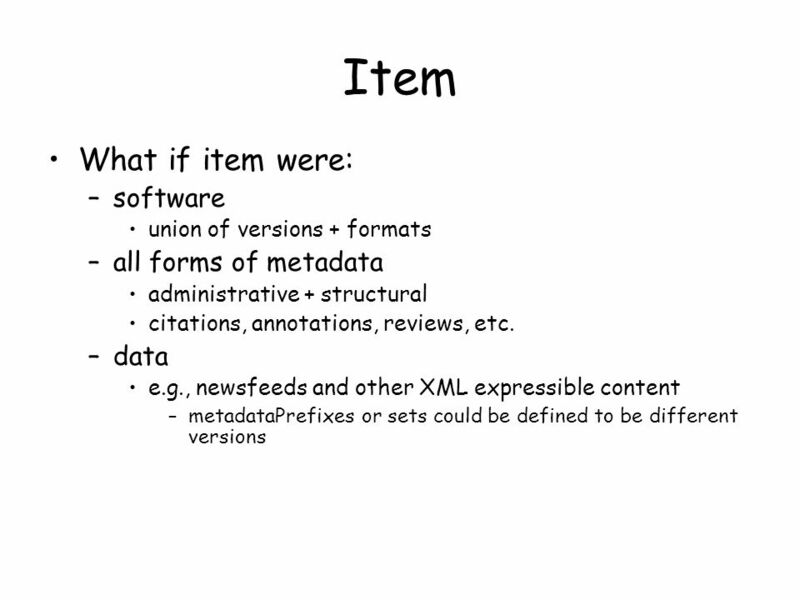 Arms Cornell University Thinking aloud about the NSDL. 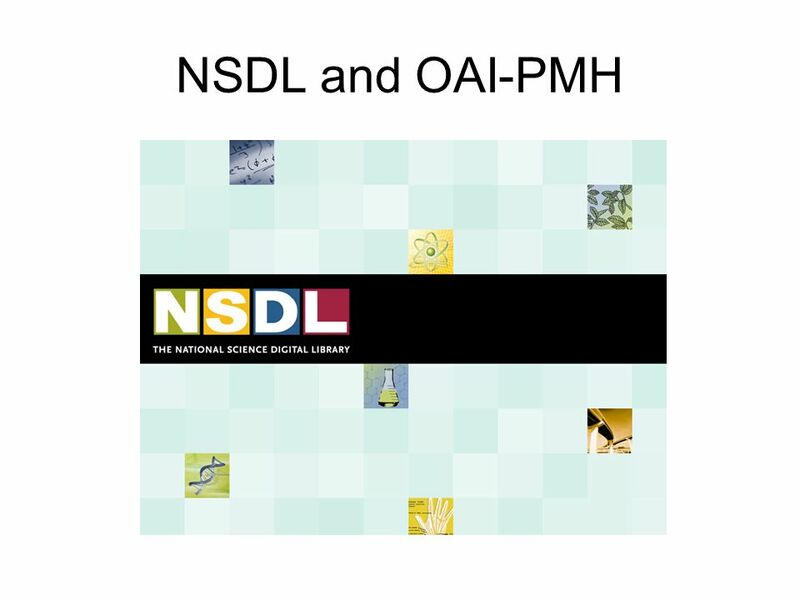 OAI-PMH Dawn Petherick, University Web Services Team Manager, Information Services, University of Birmingham MIDESS Dissemination. 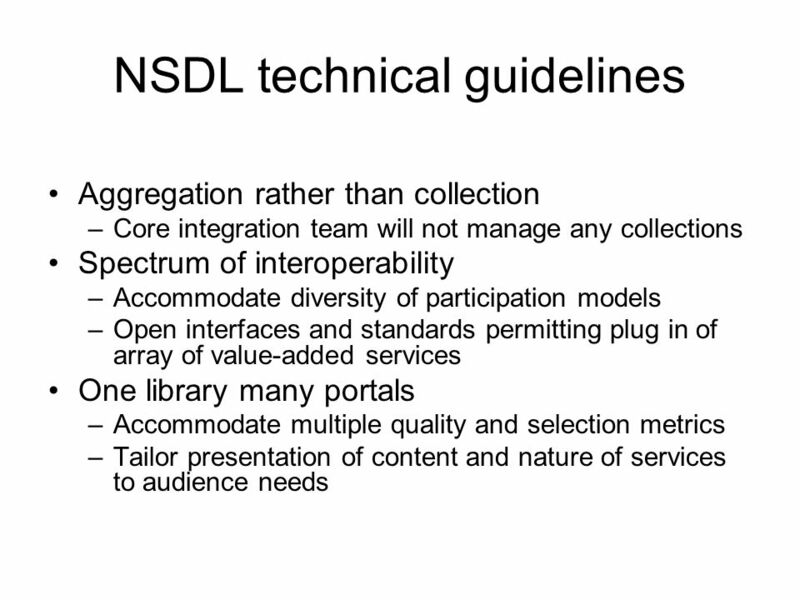 Building Reliable Distributed Information Spaces Carl Lagoze CS /22/2002. 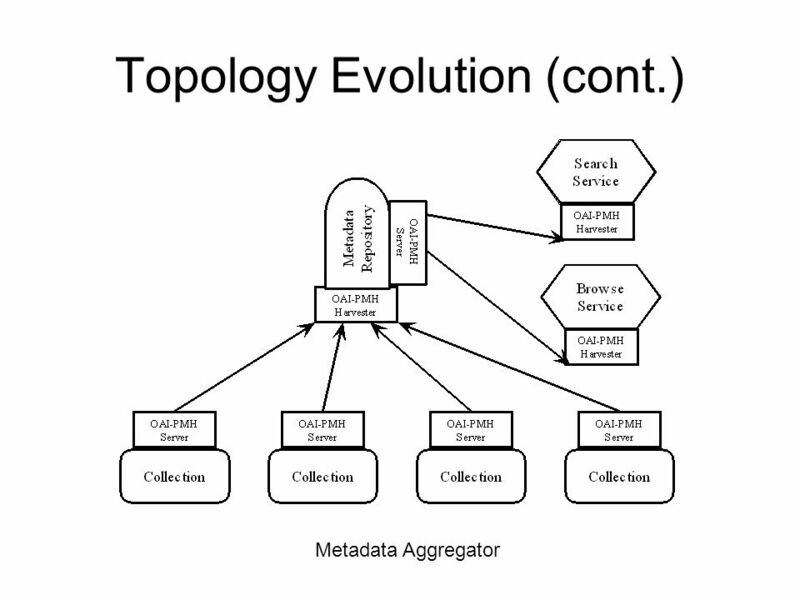 Web Crawling/Collection Aggregation CS431, Spring 2004, Carl Lagoze April 5 Lecture 19.